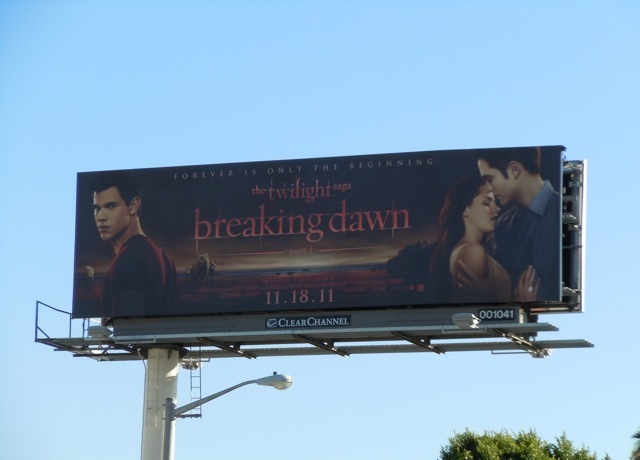 Taking a leaf from Harry Potter's book, the final installment in The Twilight Saga will be split over two films. 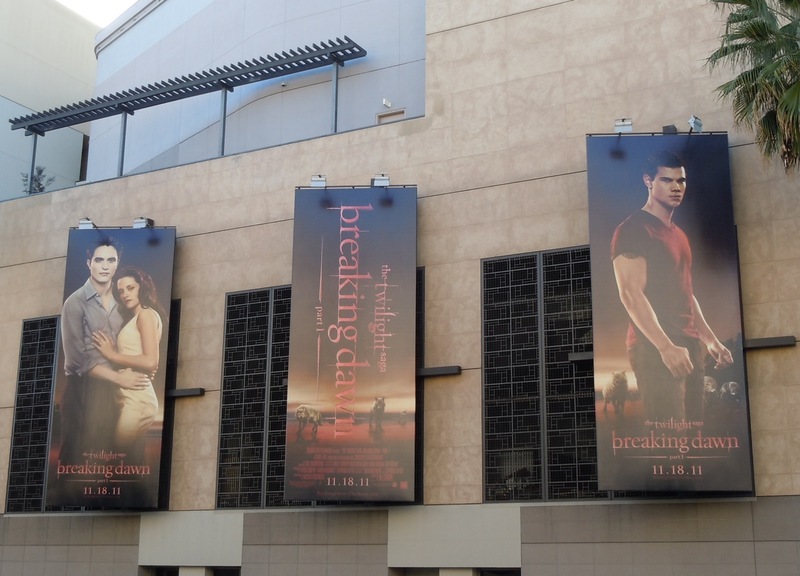 These billboards for Breaking Dawn Part 1 highlight the continuing love triangle between Bella Swan, Edward Cullen and Jacob Black, plus the perils the vampire/human couple must face for their love to survive, like marriage, pregnancy and a pack of angry werewolves. 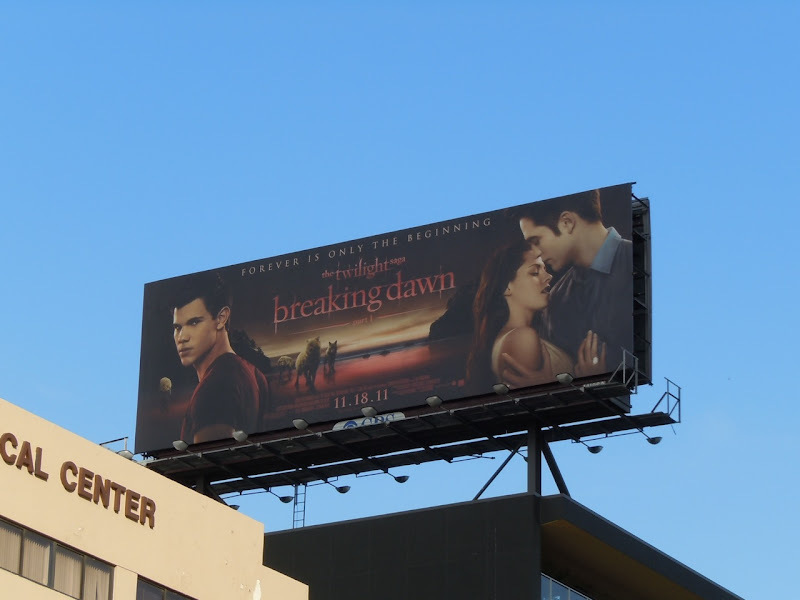 It'll be interesting to see what's next for Kristin Stewart, Robert Pattinson and Taylor Lautner, but at least there's still one more movie still to come after this to prolong the Twilight cinematic experience. 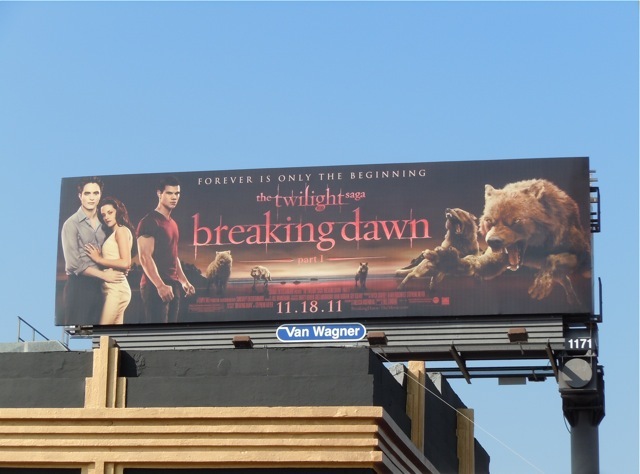 These Twilight Saga movie billboards were snapped along Sunset Boulevard, La Brea Avenue and Wilshire Boulevard on October 27, 2011. 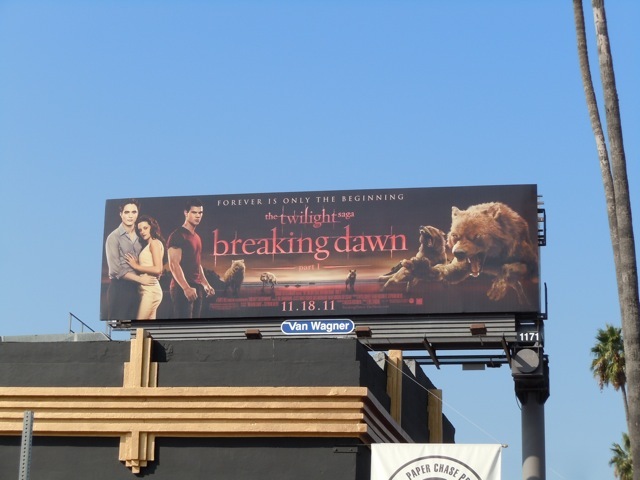 UPDATED: Here's another billboard format for this installment in The Twilight Saga, giving Taylor Lautner a chance to flex his muscles along Highland Avenue in Hollywood on November 13, 2011. If you're a fan, you should also check out Taylor Lautner's leather jacket, motorcycle and props from Twilight Breaking Dawn on display.